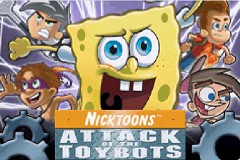 Nicktoons: Attack of the Toybots is an action platforming game for the Game Boy Advance. 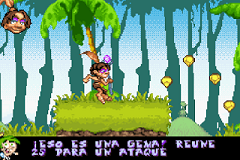 The game is based on a cartoon characters of Nickelodeon. 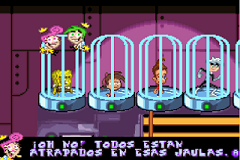 This is a Spanish translation of Nicktoons: Attack of the Toybots for the Game Boy Advance.